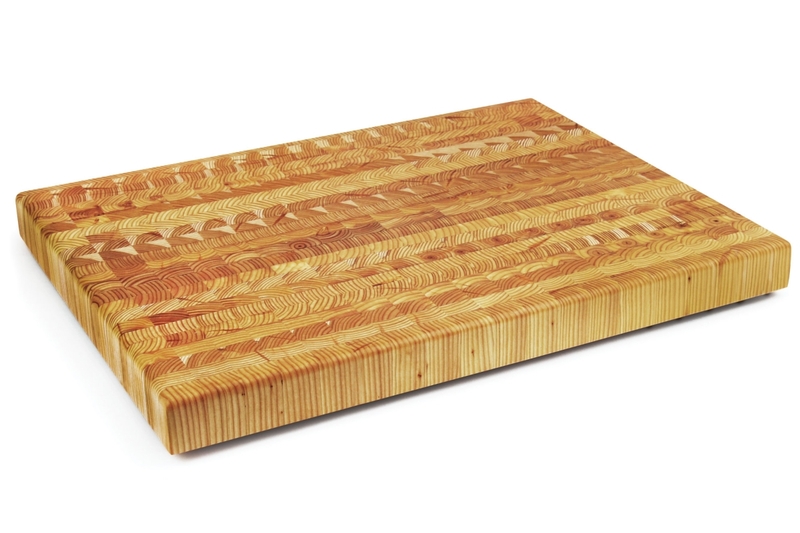 Larch Wood specializes in creating beautiful end grain cutting boards, handmade in Eastern Canadian Larch. 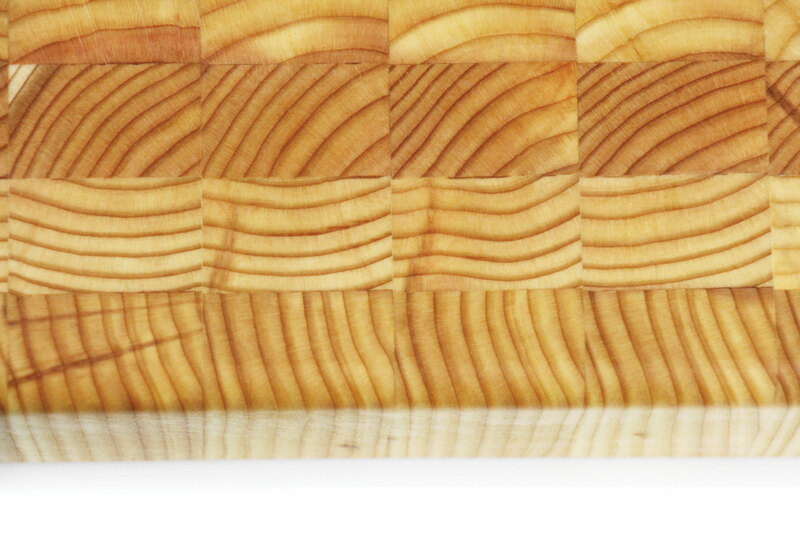 The end grain construction provides a tough, yet forgiving surface when it comes to knife edges. 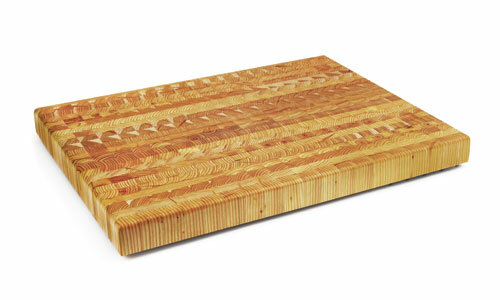 The lumber is kiln dry to specific parameters providing great stability to the cutting boards. 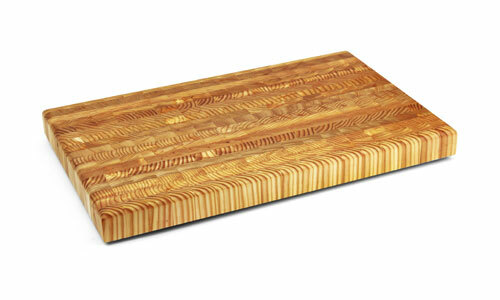 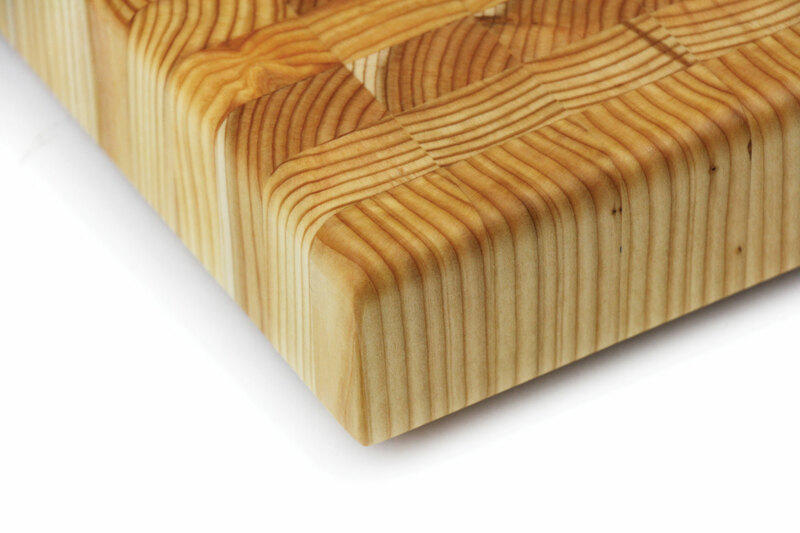 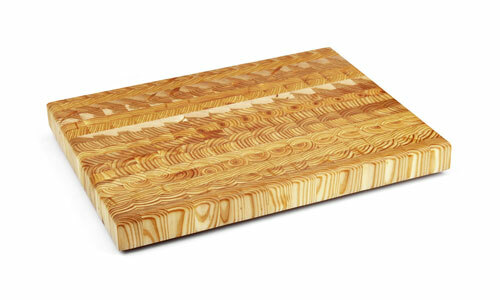 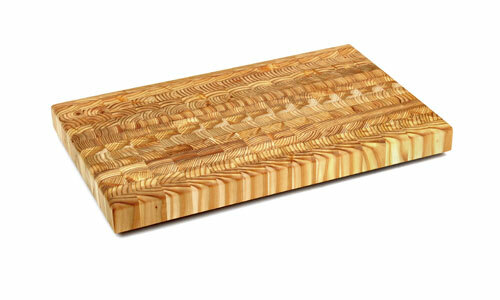 Larch Wood cutting boards are known for their ability to neutralize bacteria. 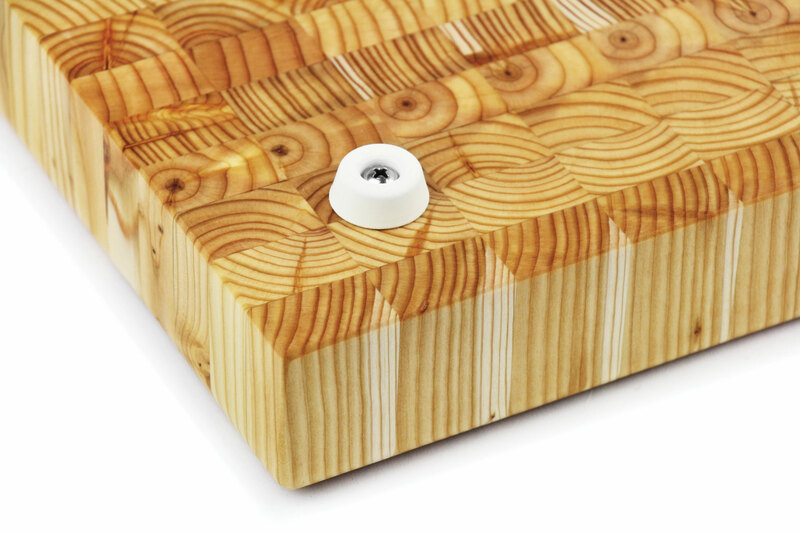 The feet are made of a soft rubber that prevents the boards from sliding on the countertop. 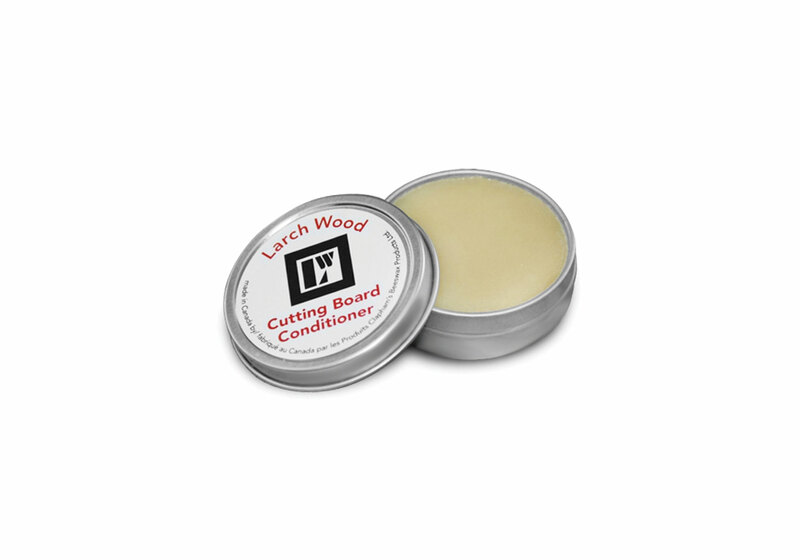 Having the board slightly elevated by 3/8-inches makes the board easier to pick up and prevents moisture from getting trapped under it. 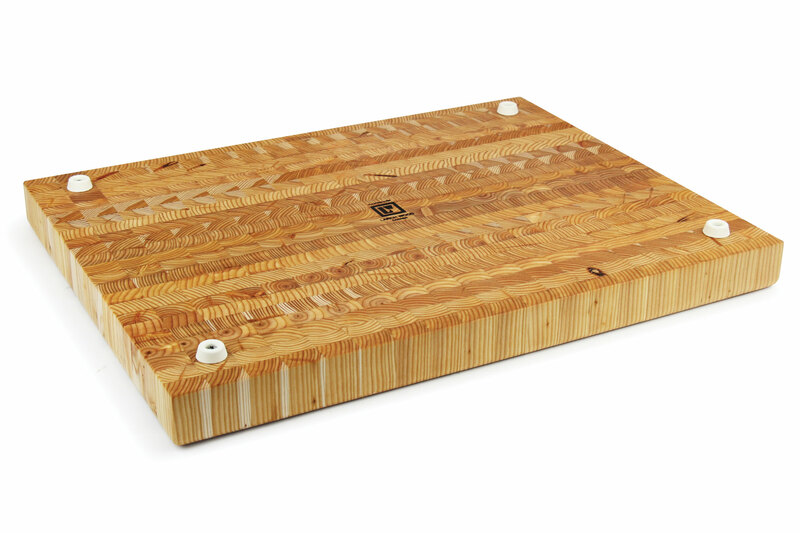 The bold grain patterning and natural coloring of Larch Wood, along with renowned durability is the initial inspiration for handcrafting these beautiful cutting boards.